Welcome to Golden Sun Universe! The Golden Sun database that anyone can edit! With 1,452 articles and counting. ...that the Pyrodra is the only enemy to change its elemental weaknesses and resistances between the GBA and Dark Dawn generations? ...that both GBA Golden Sun games contain a treasure chest holding 666 coins? ...that if you use the Douse Psynergy in cold regions, such as Prox, snowflakes come falling out of the little cloud instead of raindrops? ...that while Lemuria's Lucky Medal Fountain in The Lost Age (but not Tolbi's fountain in Golden Sun) has not been emptied yet, you can press A while facing it without standing on the platform in the center to drink its water and restore your HP and PP? ...that in The Lost Age holding down the Select button while highlighting an equippable item in a shop brings up a menu that lets you check its Item Details? Account creation is currently disabled due to spambots. If you need assistance, please contact User:Dracobolt through the Temple of Kraden or on its Discord. She is also working on getting account creation back online and on adding a better contact method. Stay tuned! Our quest objective is to create and maintain a comprehensive, encyclopedic database and reference source for the Nintendo role-playing game series Golden Sun. If you're an Adept among editors, you are invited to join our party of Adepts and help make this the most complete tome of knowledge for the Golden Sun series on the Internet. Note that this site contains SPOILERS. While templates are in place in various articles to indicate to readers that there is storyline material that players yet to complete the games may not yet know and may not yet want to know, if you haven't finished the currently-released games, then you read at your own risk. 12/7/2018: Super Smash Bros. Ultimate is released worldwide. 11/24/2018: Datamining for Super Smash Bros. Ultimate confirms a total of eight Golden Sun-related Spirits, an Isaac-themed costume for the Mii Swordfighter, and both music tracks returning from previous Smash games. 11/3/2018: Felix is confirmed to be a Spirit in Super Smash Bros. Ultimate at Nintendo Live 2018. 11/1/2018: Isaac is confirmed to return in Super Smash Bros. Ultimate as an Assist Trophy. 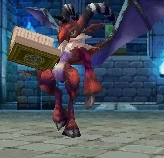 Golden Sun is featured in certain other contexts, such as Matthew being involved as a Spirit in Spirits Mode. 9/13/2018: Nintendo was granted a Japanese trademark for Golden Sun (In English) after applying for one on 8/24/2018. Uploading images is another really easy way to help out - see the Special:Upload page! Here is a list of Articles needing images. We may have a few Major Projects that could always take a volunteer. NIWA is a wiki alliance based on Nintendo franchises. This page was last edited on 5 January 2019, at 15:55.